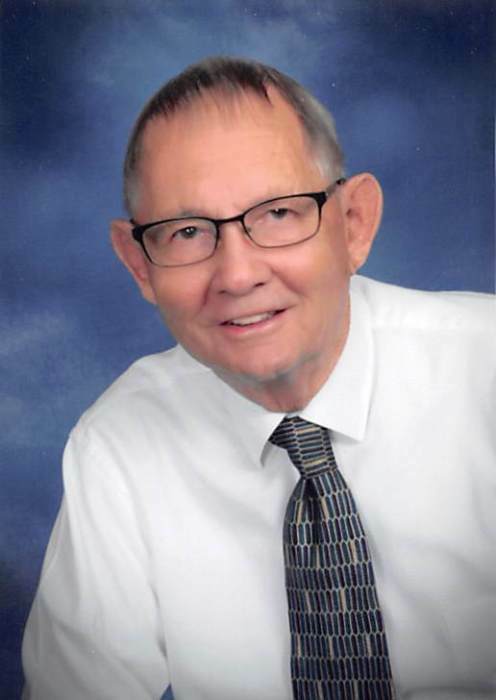 Burke B. Schultz, 88, of Fergus Falls, died on Saturday, November 24, 2018, at PioneerCare in Fergus Falls. On September 19, 1930, Burke Blayne Schultz was born to Eldred and Ruth (Pream) Schultz in Ottertail MN. Burke became an heir of life everlasting through the washing of Holy Baptism on November 15, 1930. He confirmed his membership in the Evangelical United Brethren Church on April 18, 1954. Burke died on Saturday, November 24, 2018. Burke graduated from Perham High School in 1948. He enlisted in the Army Reserve and served twelve years in that service. He began his life-long career in the fire service as a volunteer firefighter and then full time Fire Safety Inspector for the City of Fergus Falls. He was appointed Fire Chief of the City of Fergus Falls in December 1985 and retired in June 1995, with a total of 38 years in the fire service. On August 19, 1967 he and Joann Halverson exchanged marriage vows at Trinity Lutheran Church, and in 1976 they were blessed with a son, Aaron. Burke was a member of Trinity Lutheran Church and a strong supporter in the establishment of the Trinity Lutheran School and during Aaron's years at the school he was active in the Parent-Teacher League and related TLS activities. Burke was active in Aaron's activities of Scouts, ball games, high school football, fishing, camping, and they golfed together many summers. Burke is survived by his wife, Joann, and their son Aaron. He is also survived by a sister, Pat (Jim) Ahlfs of Ottertail; two brothers, Steve (JoAnne) Schultz of Arizona and Jeff (Tom) of Ottertail. Burke is survived by several cousins. He is also survived by nephews,Tom (Jean) and Mike (Amy) Ahlfs of Ottertail, Christopher (Lisa) Schultz of Ellsworth WI, Christopher (Amy) Halverson of Hager City WI, Rev. Jeffrey (Rachel) Nickel of E. Amherst NY; nieces, Mary (Wayne) Rotzien of Becker, Stephanie (Tyson) Carrier of Mesa AZ, Sherri (David) Milstone of Dartmouth MA, Tanya (Dale) Hanstad of Fergus Falls, Mia (Christopher) Boe of Grand Forks ND, Susanne Halverson of Fergus Falls; and by several great nieces and nephews. Also surviving are sisters-in-law, Joyce Nickel of Lancaster PA and Jane Miller of Fergus Falls. Burke was preceded in death by his grandparents; his parents; a niece, Luissa Schultz-Trapp; brothers-in-law, Wesley Miller, Eldon Halverson and Rev, David Nickel and his father- and mother-in-law, Morris and Agnes Halverson. Memorial Service: 11:00 a.m., Tuesday, December 4, 2018, at Trinity Lutheran Church in Fergus Falls, with a visitation one hour prior to the services at the church.